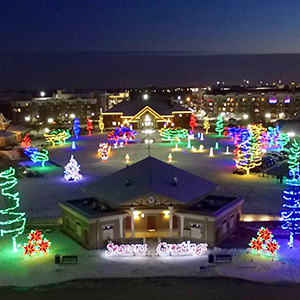 Celebrate the start of the holiday season during this free family-friendly event featuring the annual holiday lights display and tree lighting, an ice carving demonstration, kids tent, live music by Dave and Rae, a visit from Santa and more! Complimentary refreshments will be available on a first-come, first-served basis. Food trucks will also be onsite for food purchases. Be sure to share your photos with us using #FishersWinterWonderland.